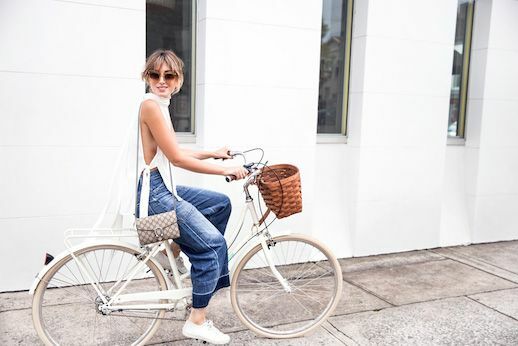 A white t-shirt and jeans are no longer just that. With the influx of deconstructed, distressed and dip dyed pieces, denim has become more of a statement piece than a staple piece. White t-shirts are no longer basic, either. 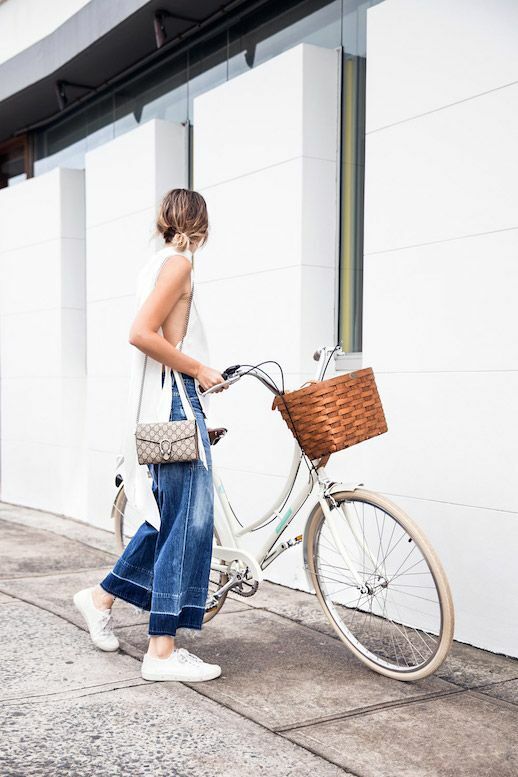 Take notes from this fashion blogger, who added interest to this otherwise simple outfit with a pair of cropped wide leg jeans, a high neck top (with side slits) and crisp white sneakers. Her crossbody Gucci bag adds just the right touch.